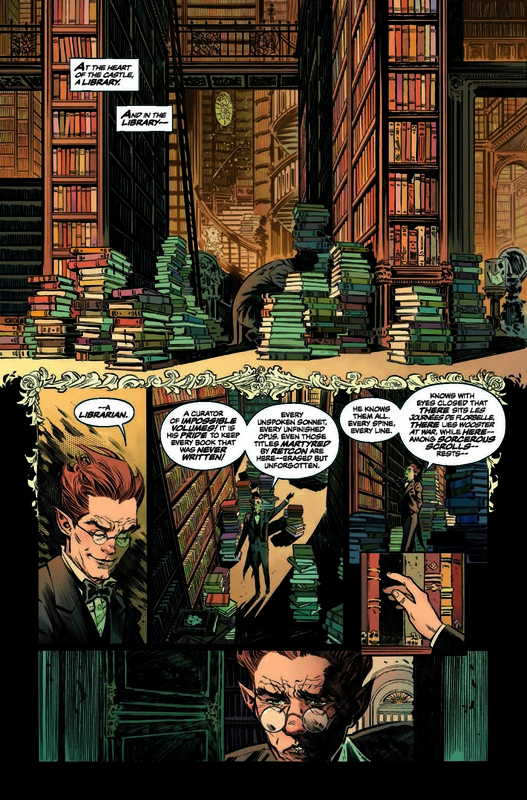 This August sees the launch of The Sandman Universe, a brand new Vertigo line of comic books curated by Neil Gaiman himself. 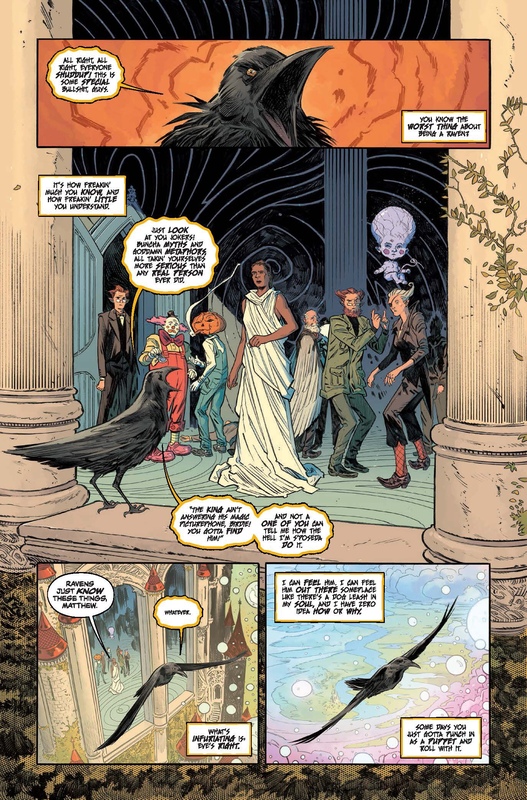 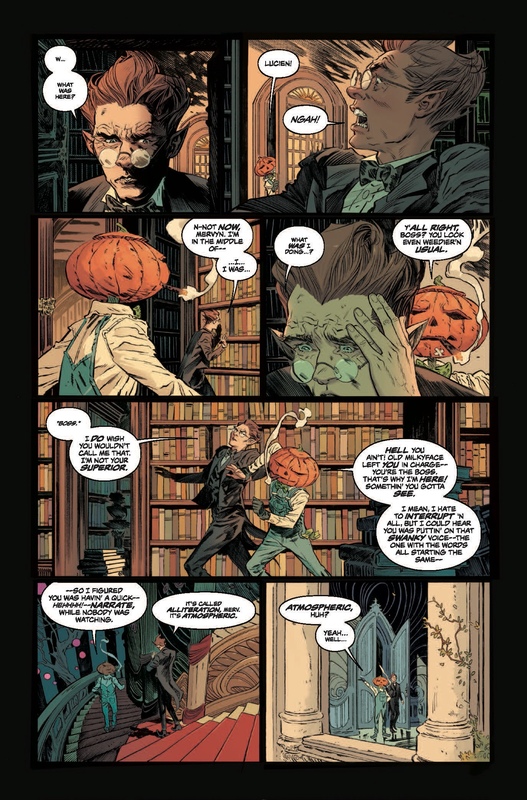 It all kicks off with The Sandman Universe #1, an oversized one-shot featuring stories by Gaiman, written by Si Spurrier, Nalo Hopkinson, Dan Watters and Kat Howard, with art by Bilquis Evely, Dominike “Domo” Stanton, Max Fiumara, Seba Fiumara and Tom Fowler, colors by Mat Lopes, lettering by Simon Bowland and a cover by Jae Lee. 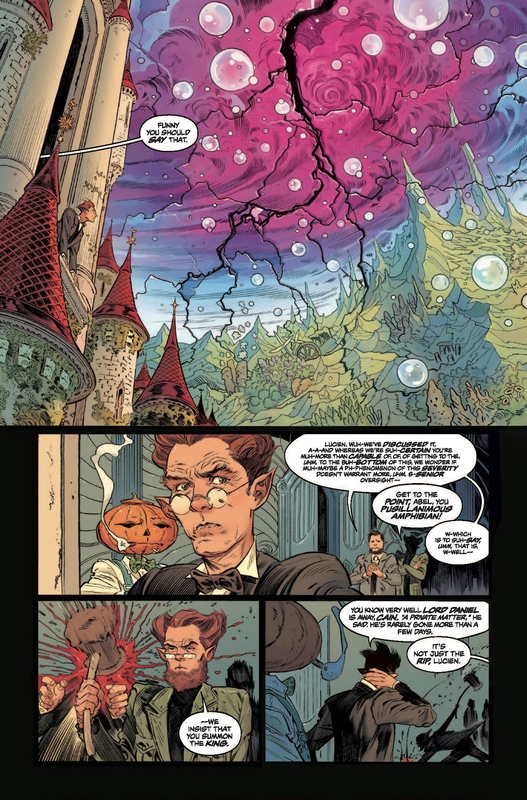 The Sandman Universe #1 goes on sale August 8th, with the four new series – THE DREAMING, HOUSE OF WHISPERS, LUFICER and BOOKS OF MAGIC – following in September and October, and we’re thrilled to be able to give you a look at some of the finished artwork from the special. 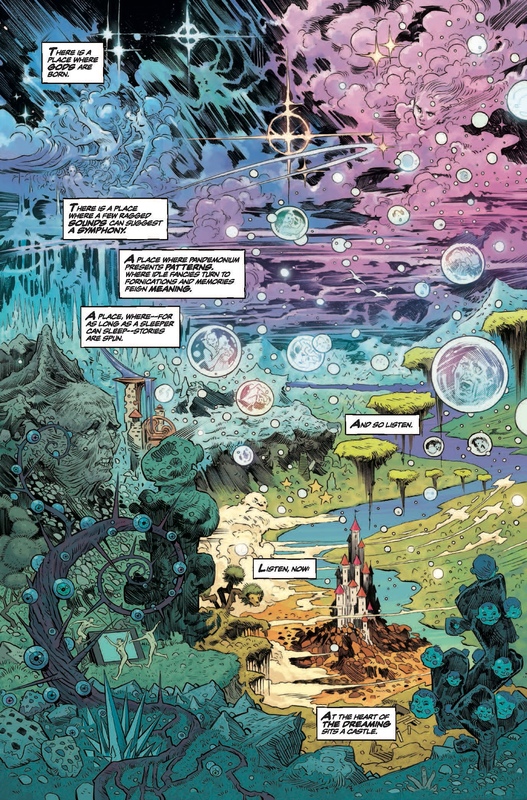 Feast your eyes below.